This artist is gay, no excuse me he’s bisexual. WHO GIVES A SH*T! He makes great music (emphasize on great). 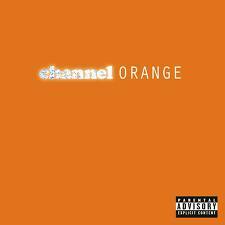 Frank Ocean’s debut album Channel Orange is surely one for the books. If Frank Ocean missed a note on any song (which he didn’t by the way) his lyrical content in each of his songs is mind boggling. I swore I was listening to a Jay-Z song with the amount of depth that the meaning of his songs had. I listened to the album three times when it came out and was still trying to interpret one verse from one song (with repeats included). This album does not have a lot of vocal features but Earl Sweatshirt of Ocean’s OFWGKTA family did make an appearance on here. Channel Orange brings a different sound than what most people are used to, which adds to the success in my book. I am not going to break down a lot of tracks (due to EXTREME amount of Lyrical content and my amount of incompetence at this point) however; I will review two of my favorite tracks. One of the tracks is called “Sierra Leone.” This song has multiple interpretations ranging from him having sexual relations in the first verse and his daughter in the second to a car throughout the whole song. Some might wonder how a car came about, but I actually heard a very clever way of thinking about it. Another track on this album is called “Super Rich Kids” featuring Earl Sweatshirt. This joint consists of the two artists describing traits and actions taken by a rich kid who is seeking attention. The kid doesn’t have anyone there for him and he wants real love because that is what he is lacking. He doesn’t have any friends and how his dad isn’t there for him. This album can be placed in the “Album of the year” as a candidate as some of my colleagues have said and I agree. To make music like this, you have to be on a completely different level, and obviously The Throne recognized this and put him on Watch the Throne. Frank Ocean sang *Church woman voice* his a** off on this album and it sounds like it especially on “Pink Matter.” If I wrote for the Source, I’m pretty sure I would put my hand up for the fifth mic. I definitely recommend buying this album. And as I stated earlier, it’s great music regardless of his sexuality, stop bitching.